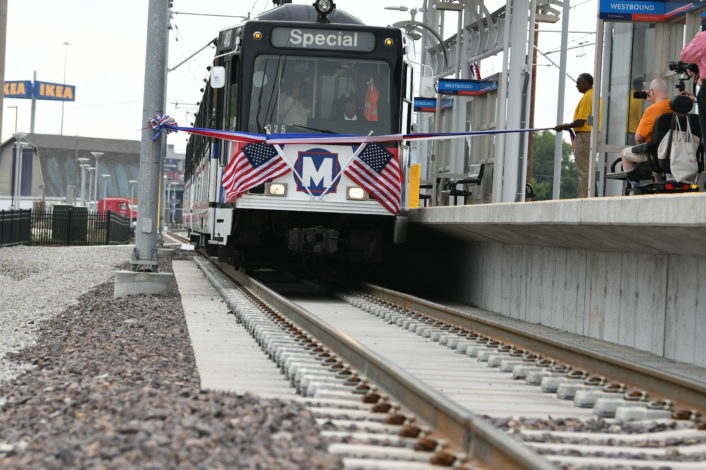 Cortex MetroLink Station is first one built in over a decade. 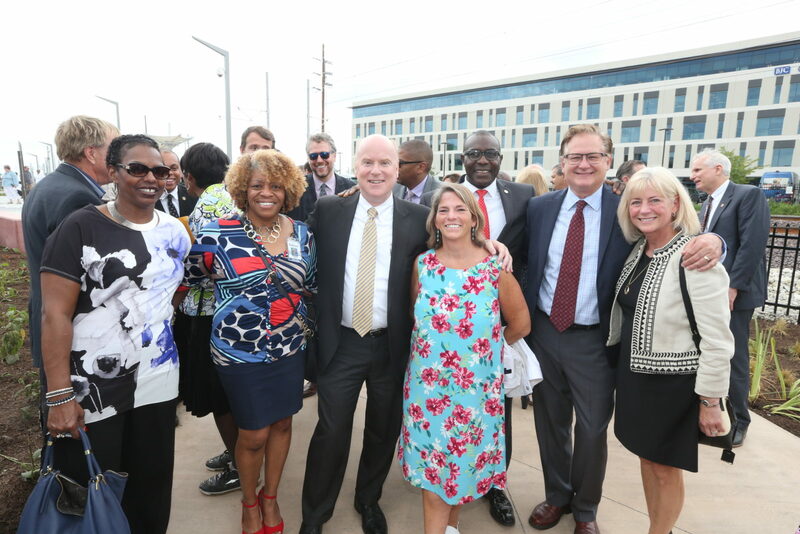 The first new MetroLink station to be built in more than a decade, and the first to be constructed by Metro Transit through a public-private funding partnership, officially opened on July 31, 2018. The grand opening took place 25 years ago to the day when Metro Transit opened the region’s light rail system. The new Cortex MetroLink Station offers another transportation option for current and future workers in the Cortex Innovation Community and throughout the St. Louis central corridor. The event also marked the completion of the first section of the Chouteau Greenway, a quarter-mile paved path linking Boyle and Sarah Avenues along which people can walk, run or bicycle. 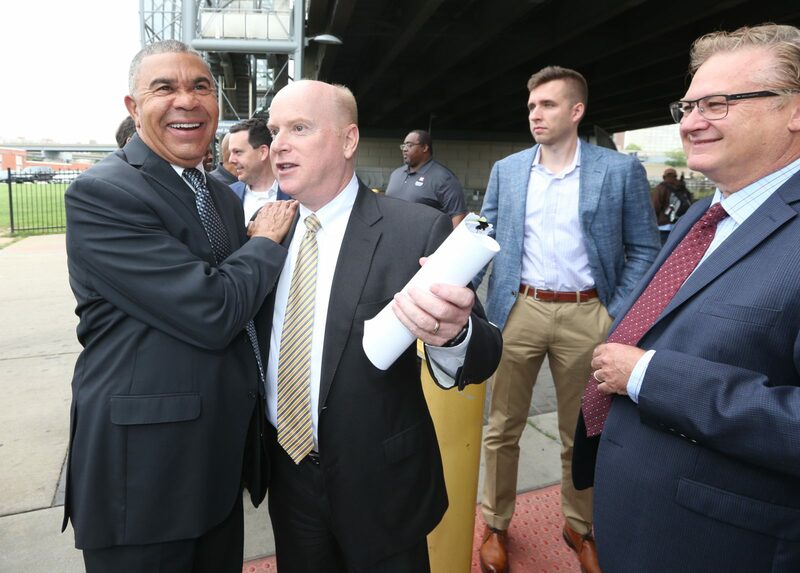 Construction on the third phase of the project, the extension of the MetroLink platform at the Central West End Station, will get underway soon. The Cortex MetroLink Station and Chouteau Greenway project were funded through a partnership between the Federal Transit Administration, Cortex, Washington University, BJC HealthCare, Great Rivers Greenway, the City of St. Louis, Citizens for Modern Transit, Metro Transit and Bi-State Development. 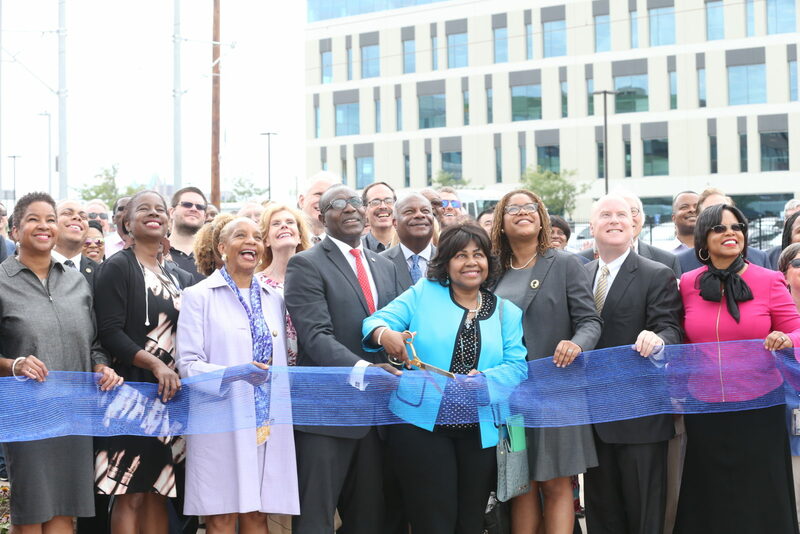 Representatives from all the partners joined federal, state and local leaders and hundreds of community members to celebrate the opening of the 38th station on the region’s light rail system. The newest station, located between Boyle and Sarah Avenues, provides an additional stop in the rapidly growing area between the Grand Station and Central West End Station. 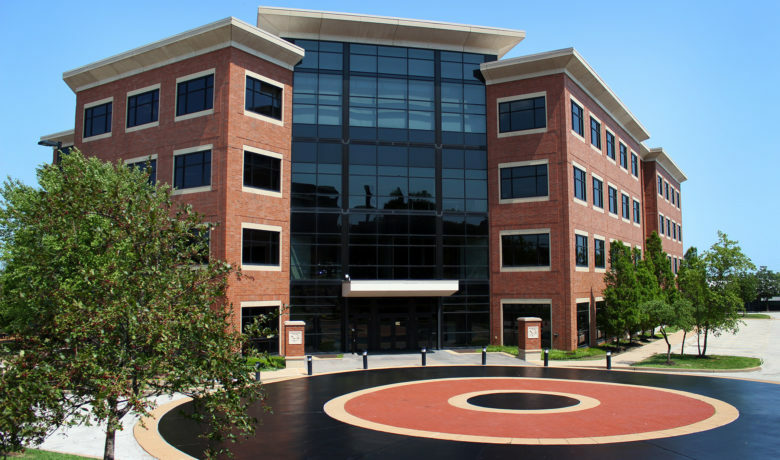 “Access to reliable transportation is essential to attracting new businesses to our region, and this new station and greenway are amazing benefits for companies and organizations here in the Cortex Innovation Community. 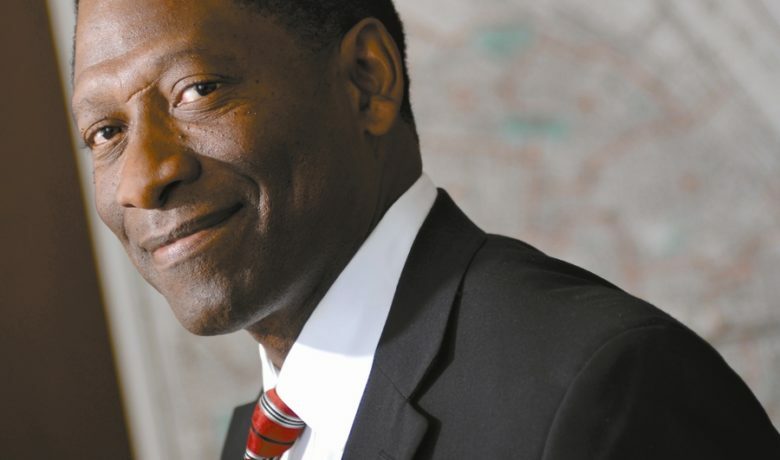 The revitalization of this entire area is one of the best things going on in the St. Louis region and in this country,” said Bi-State Development President and Chief Executive Officer John Nations. 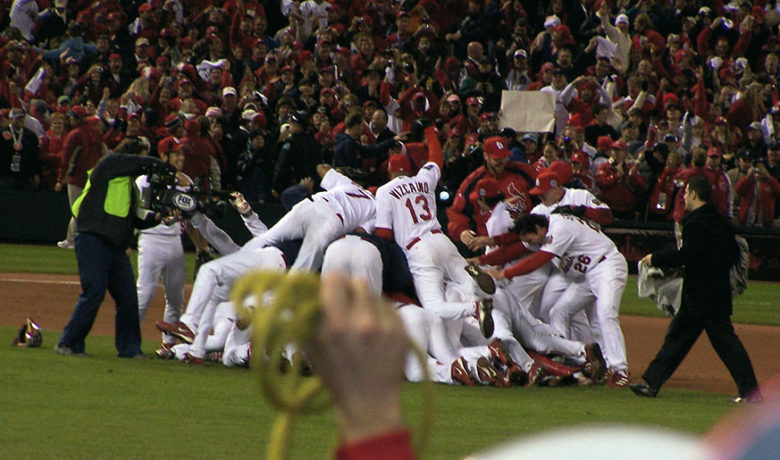 Bi-State Development operates the Metro Transit system for the St. Louis region.